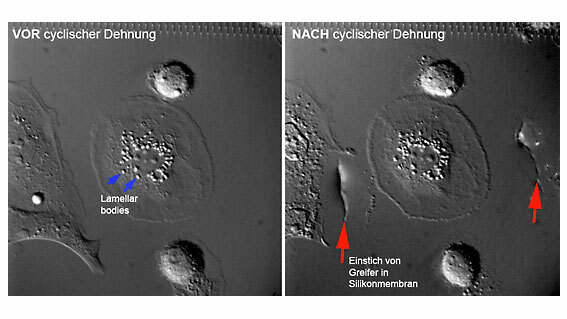 At the University of Ulm, researchers are analysing how living lung cells respond to mechanical stimulation. 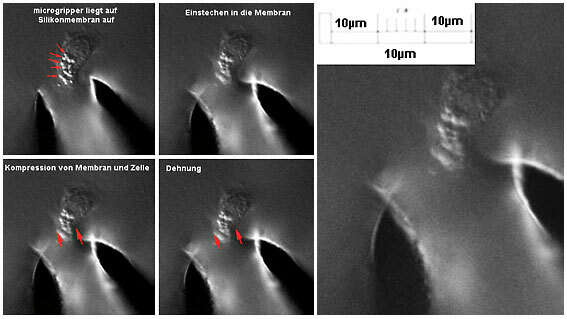 Cells are grown on an elastic membrane, into which the arms of a microgripper can penetrate. 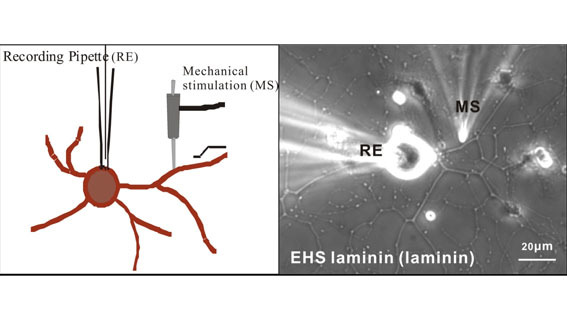 Once in place, the microgripper can be used to apply various stretching amplitudes and frequencies to the cell and response in the form of released surfactants is detected using fluorescent dye. 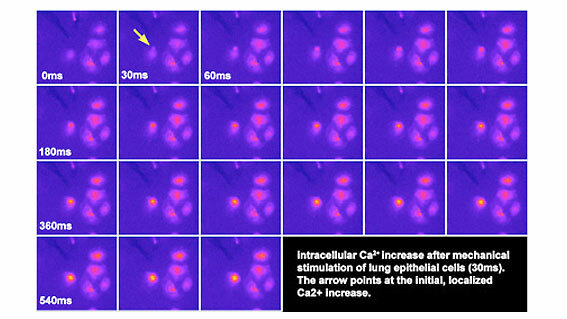 Another biological application of mechanical stimulation is in the measurement of calcium increase in lung epithelial cells. 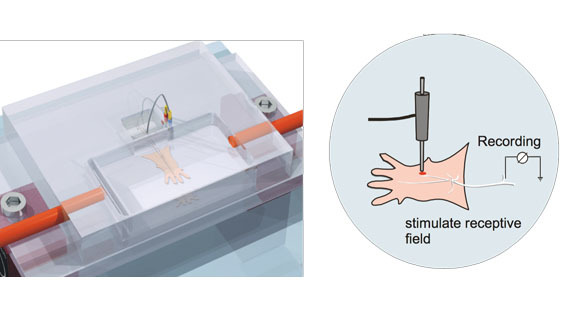 A microgripper can be used to apply pressure on an elastic cell membrane and one can observe in the pictures and video available, how the calcium increases over the whole cell after the stimulation. The measurement was also made possible using calcium senstive fluorescent dye. 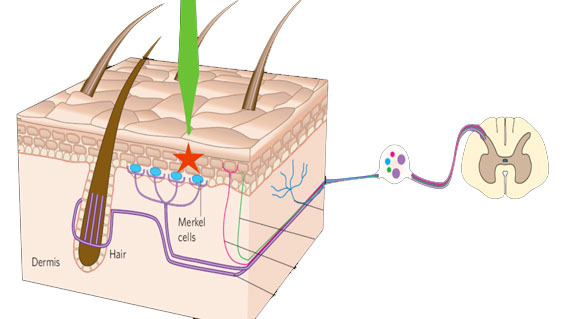 These techniques require a stable and accurate positioning system as well as a robust, programmable and highly precise microgripper.